The Himachal Pradesh is known for its beautiful scenery, snow-clad peaks and age-old culture all over the globe. It is one of the favorite tourist destinations of travelers looking for peace and once-in-a-lifetime journey into the Himalayas. Not only does it attract Indian crowd, but some of the places of this state are known globally and is visited by thousands of foreigners each year from every corner of the world. The Kullu district, which stretches from the village of Rampur in the south to the Rohtang Pass in the North, attracts most number of tourists, both local and foreign, courtesy to its marvelous landscapes, rivers, historic culture, traditions and picturesque valleys. Major places in the district that fascinate tourists the most are – Manali, Parvati Vallery and the ancient town of Naggar. 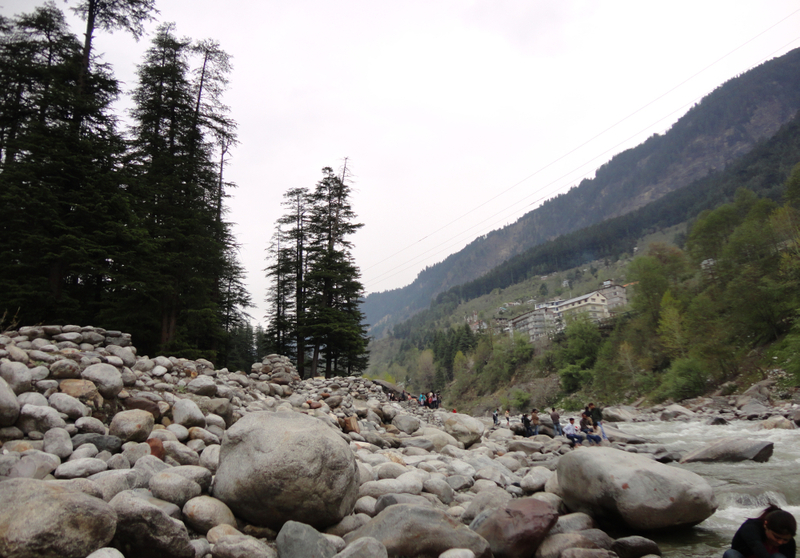 Manali has become the prime tourist destination in India for the last few years. 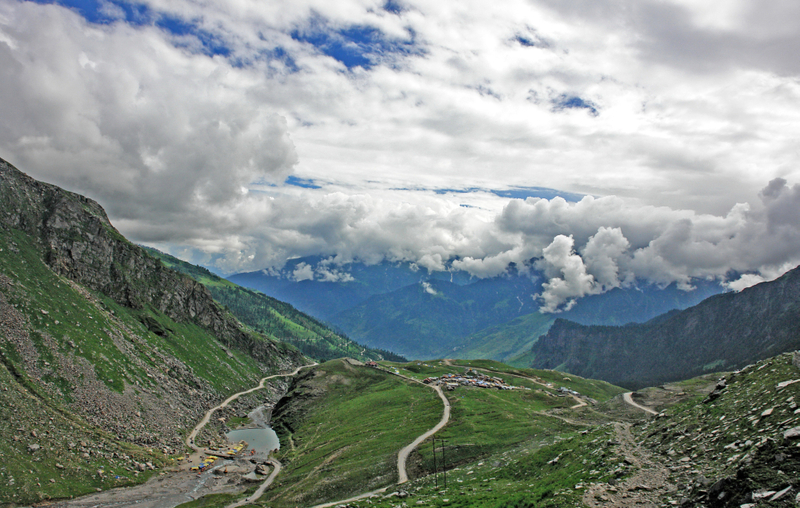 Situated at an altitude of 2050 m, the beautiful town of Manali is about 280 kilometers from the state capital Shimla. 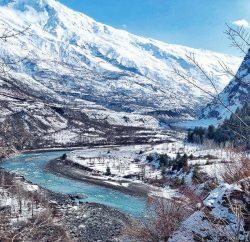 Surrounded by huge snow-peaked mountains and deep boulder strewn gorges, the town on banks of Beas River Valley has everything to offer that a traveler or a person out on holiday asks for. The gorgeous wild flower fields, thick forests, fruit orchards and small scenic hamlets can keep anyone captivated for days and weeks in Manali. 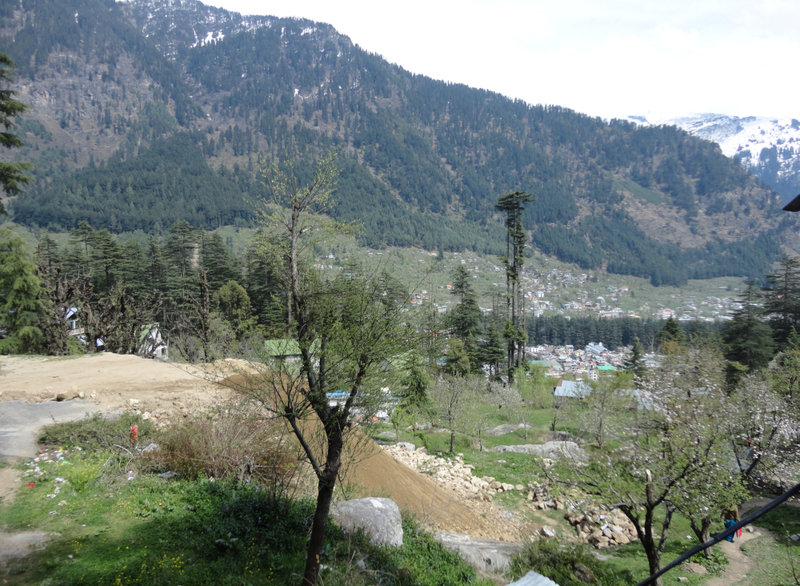 Manali is 50 km from the Bhunter Airport from where you can get regular buses and taxis. The closest narrow gauge railhead is 165 km away at Joginder Nagar and closest broad gauge rail heads are Chandigarh (310 km) and Ambala (355 km). There is a regular HPTDC Luxury and Volvo Coach to Manali from Delhi – situated about 570 km away from the national capital. Hadimba Temple: Built in 1553 and dedicated to Hidimbi Devi, it is an ancient cave temple surrounded by a cedar forest at the foot of the Himalayas. 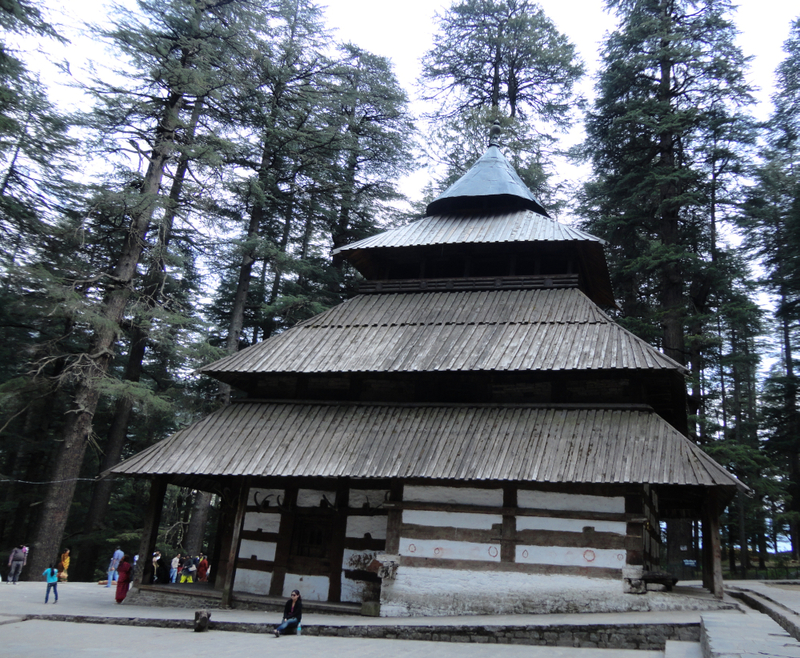 Situated just 1 km from Manali, the temple has a superbly crafted four-tiered pagoda roof and intricately carved wooden doors. Vashisth: About 3 km from the town, it is well-known for its hot springs. Besides that, there are two ancient temples devoted to sage Vashisth and Lord Rama. 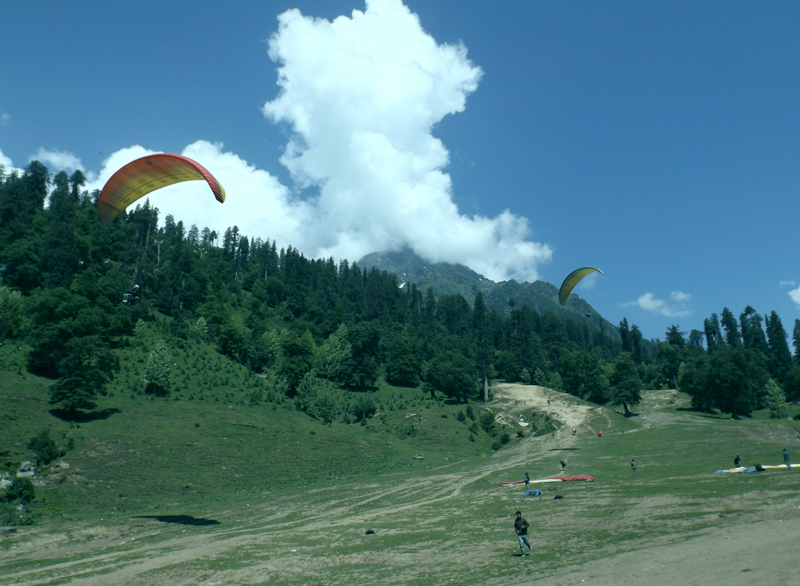 Solang Valley: Situated 14 km northwest of Manali, Solang valley is known for its summer and winter sport conditions. It is as a popular ski resort that also offers parachuting, paragliding, skating and zorbing. There are a number of hotels managed by HPTDC in and around Manali that offer modern comfort along with amazing view of deodar forests, snow-capped mountains and the Beas valley. If you are looking for a premium package, you can stay at The Log Huts, about 2 km from Manali. Tariffs start at Rs 5800 for the orchard huts and goes up to Rs 8000 for the premium log huts. However, if you are looking for more affordable hotels, there is Hotel Beas, Hadimba Cottages, Hotel Kunzam and The Rohtang Manalsu which will fit your budget. 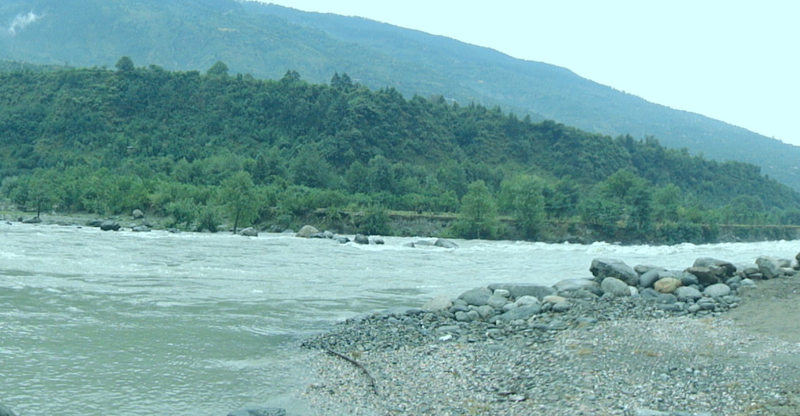 Kullu city is located on the banks of the Beas River in the Kullu Valley. Situated at an altitude of 1220m, the town of Kullu is famous for its temples, beauty and majestic hills covered with pine and deodar forest and apple orchards. Once known as Kulanthpitha – the end of the habitable world, Kullu got its first motorable access only after Indian Independence. There are certain villages in the Kullu valley that are still untouched by modern lifestyle and follow their old traditions and customs. The airport at Bhunter is just 10 km from Kullu, where taxis and buses are always available. HRTC buses, HPTDC Luxury and Volvo coaches run on daily bases from Delhi and Shimla to Kullu. Bijli Mahadev Temple: Devoted to the Lord Shiva, the temple is about 22 km from Kullu and is at an altitude of about 2,460m. Sparkling like a silver needle in the sun, the 60 feet high staff of Bijli Mahadev temple is said to attract the divine blessings in the form of lightning that shatters the Linga. The priest of the temple then restores the Shiva linga placed inside the temple using butter and sattoo. Kullu Dussehra: Celebrated in the Dhalpur maidan, Kullu Dussehra starts on Vijay Dashmi and continues for at least a week. The historic event dates to the 17th century when local King Jagat Singh installed an idol of Raghunath on his throne as a mark of penance. God Raghunath was declared as the ruling deity of the Valley after this event. Himachal government has given the status of International festival to the Kullu Dussehra. 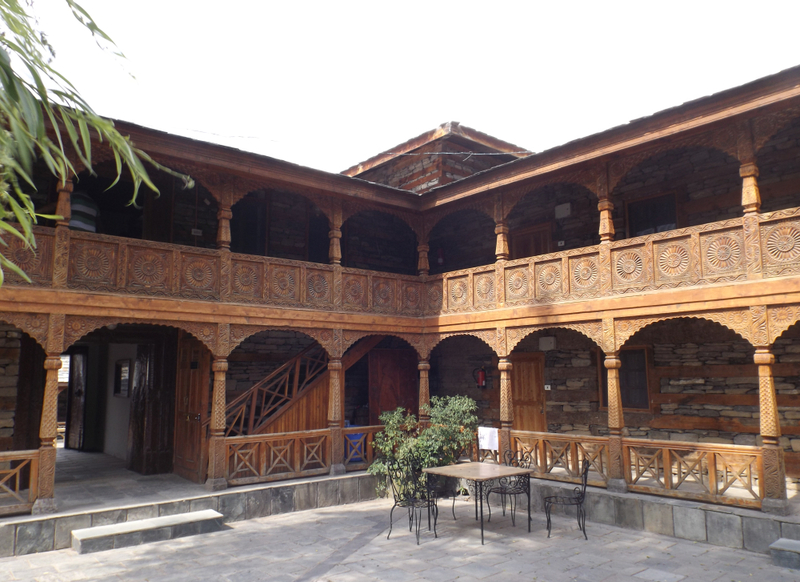 In Kullu, HPTDC runs Hotel Sarvari, offering all the modern facilities to the visitors. Tariffs start from Rs 1500 and go up to Rs 2500 for a Sarvary Suite. 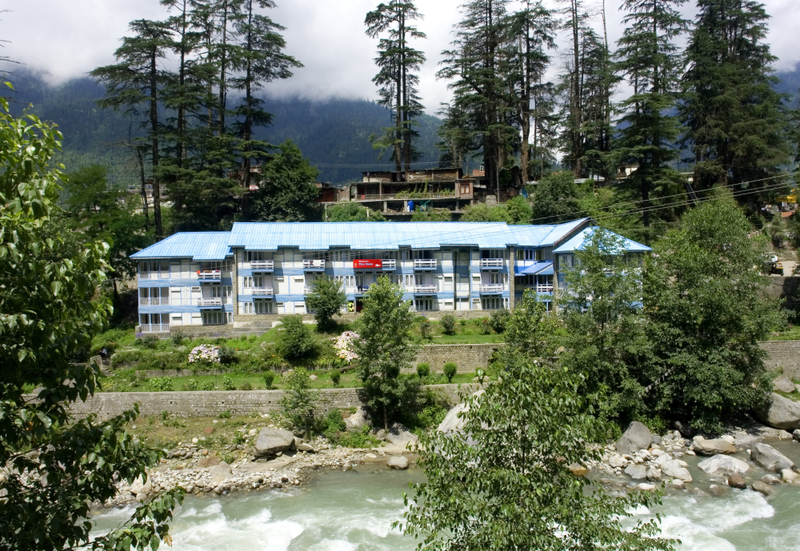 Another hotel, on the outskirts of Kullu, is Hotel Silvermoon. Rooms are available anywhere between Rs 1400 and Rs 1700. The ancient town of Naggar is one of the most beautiful and peaceful places of Kullu district. Situated at an altitude of 1851m on the left bank of river Beas, Naggar is a popular tourist spot that offers picturesque scenery. 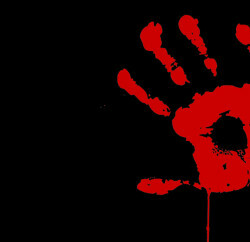 It was founded by Raja Visudhpal and was the former capital of Kullu. 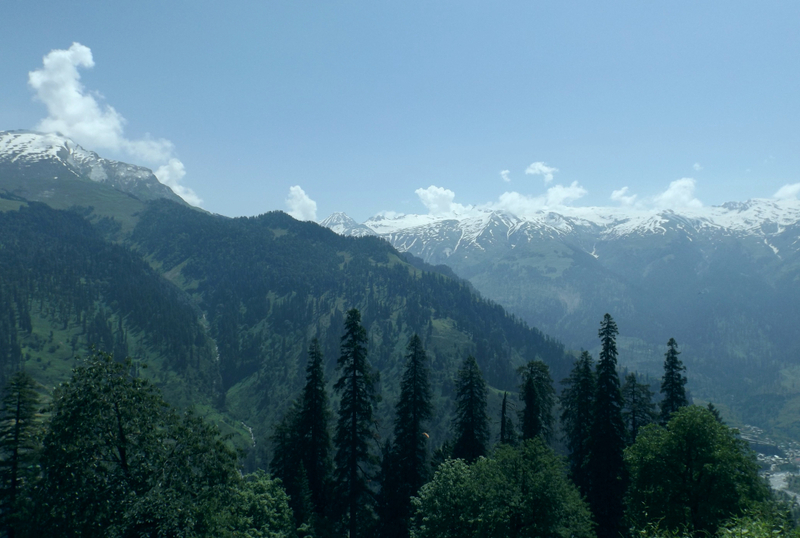 Naggar is about 21 km from Manali and 26 km from Kullu. Bhunter airport is 36 km away. 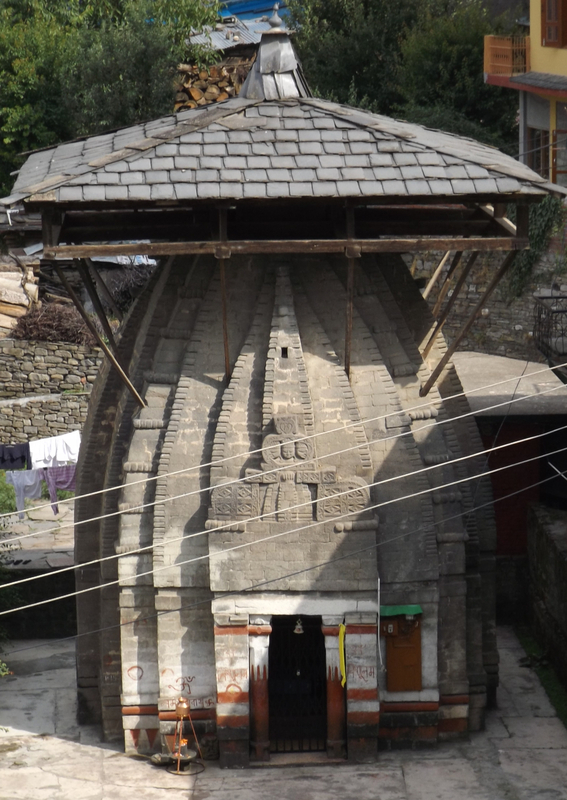 Jagatipatt Temple: Meeting place of local deities of Kullu, the small temple is in the upper courtyard of the castle. 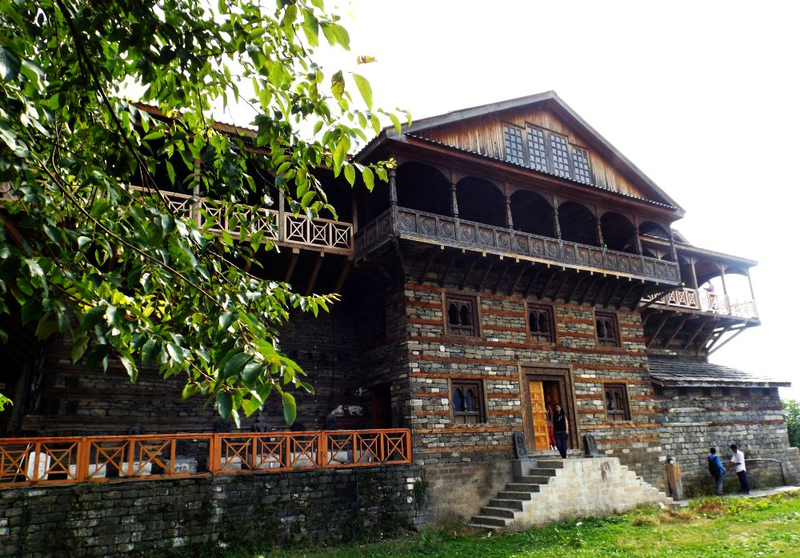 Nicholas Roerich Art Gallery: There is an art gallery in Naggar, once the residence of late Prof. Nicholas Roerich – a reputed artist, that houses numbers of rare paintings and other specimen of art and is open for visitors. Built by Raja Sidh Singh of Kullu around 1460 A.D., the castle was converted into a rest house about hundred years ago and was handed over to the state government in 1978 and ever since it is operating as a heritage hotel. The Nagar Palace is a unique medieval stone-and-wood mansion having an authentic western Himalayan architectural touch. The castle offers various packages starting Rs 1400 (courtyard suite) to Rs 4300 (royal suite).